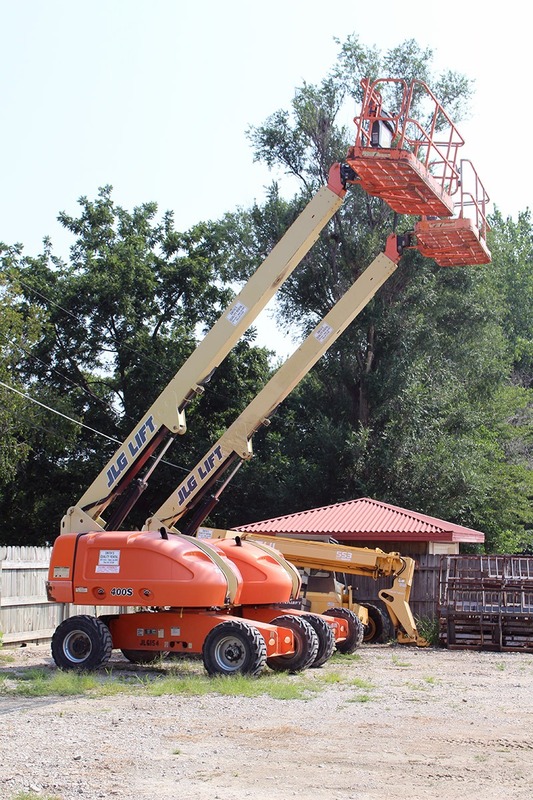 Help Do-It-Yourselfers Accomplish Their Goals! 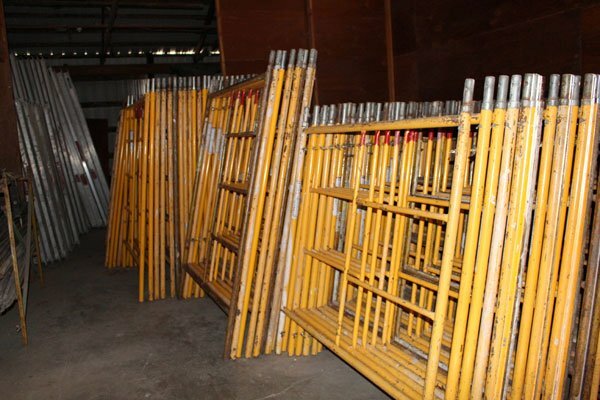 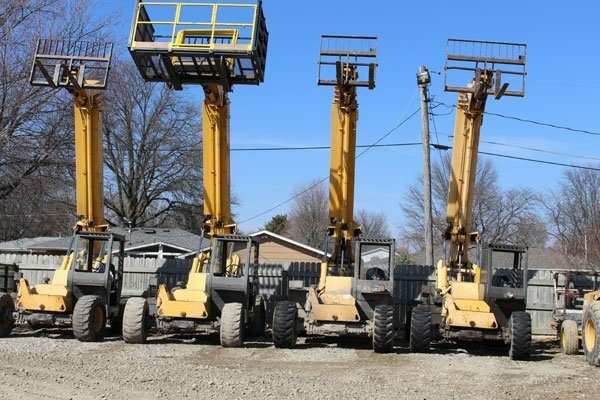 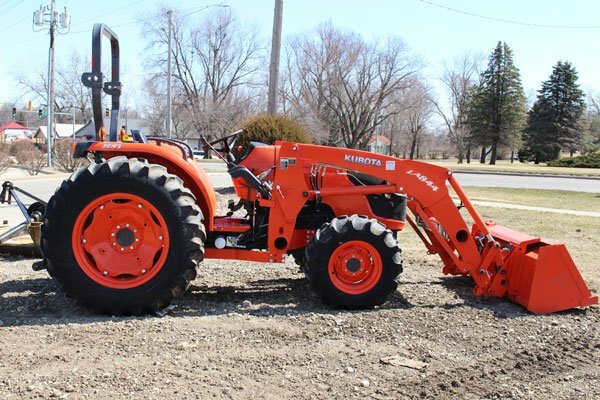 We have a large inventory of Rental Equipment ranging from hand held lawn products, material and manlifts to earth moving equipment to make any job seem easy. 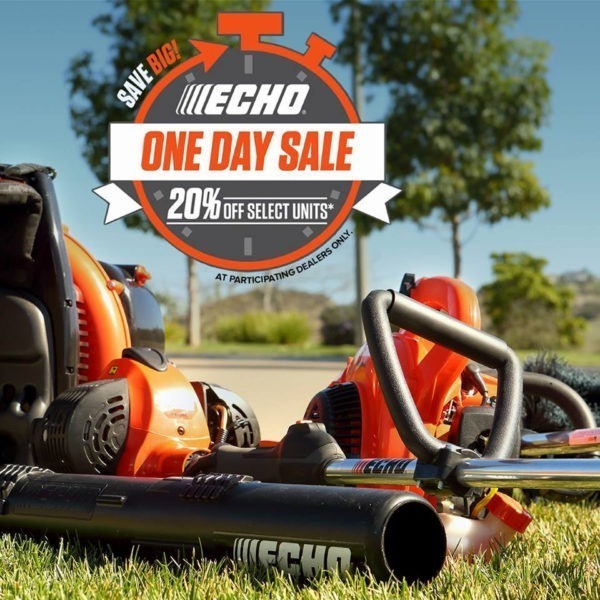 We now offer a complete line of Echo hand held lawn products. 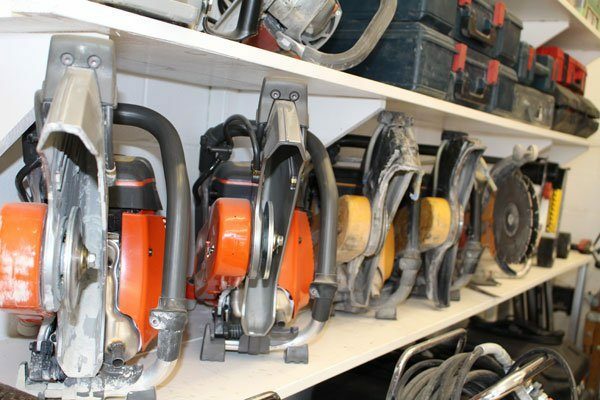 From grass trimmers to chainsaws or blowers, we have you covered. 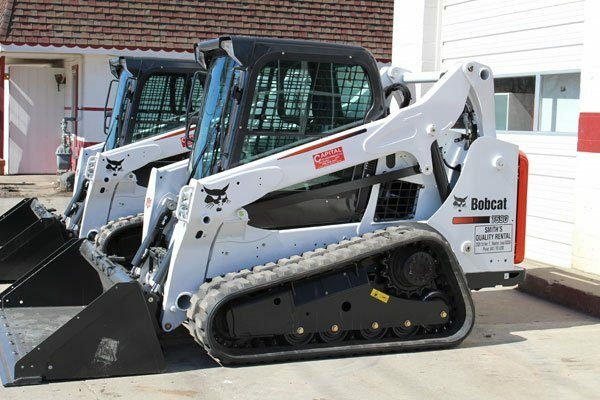 Winter is not a problem either with our selection of snow plow replacement parts. 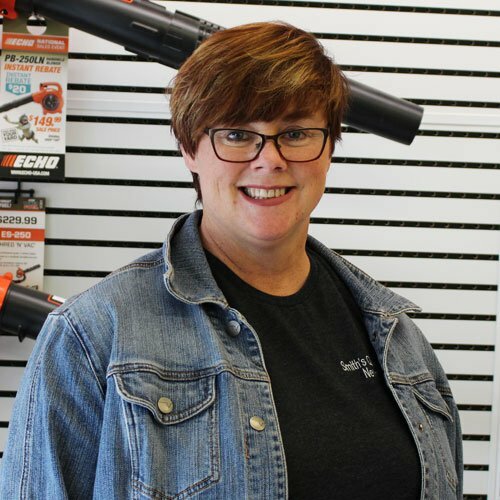 Customer service is what we pride ourselves on. 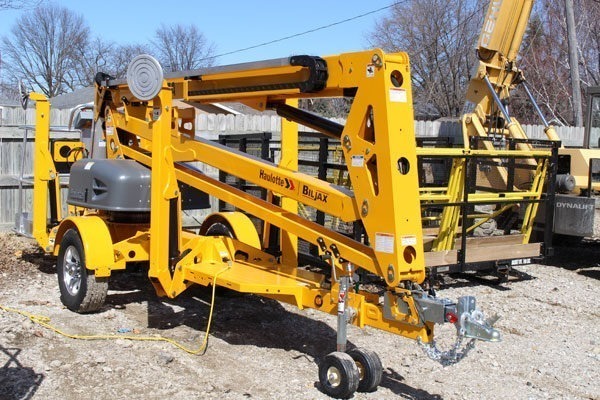 From making custom hydraulic hoses to battery cables, we do what most don’t. 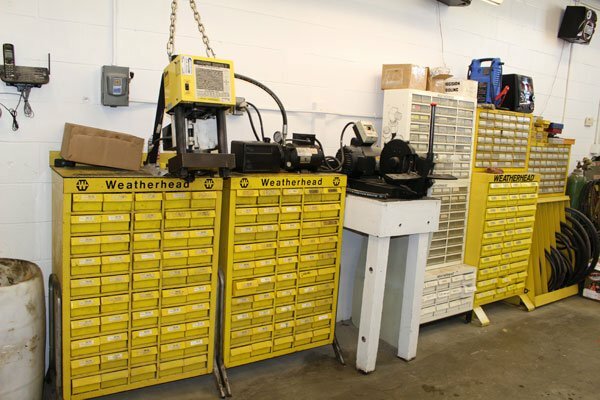 Our small engine repair area services most major brands. 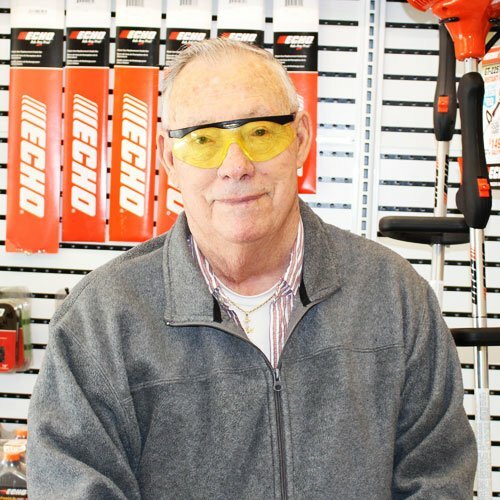 Since 1956, Gary Smith has been a small business owner in Newton, IA. 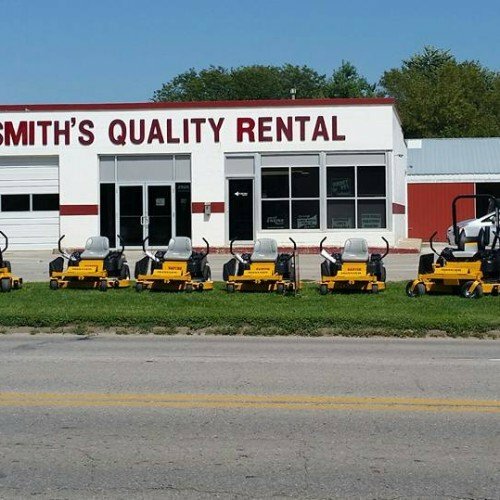 Always looking at ways to provide his customers with something new, in 1971 Gary opened Smith’s Quality Rental. 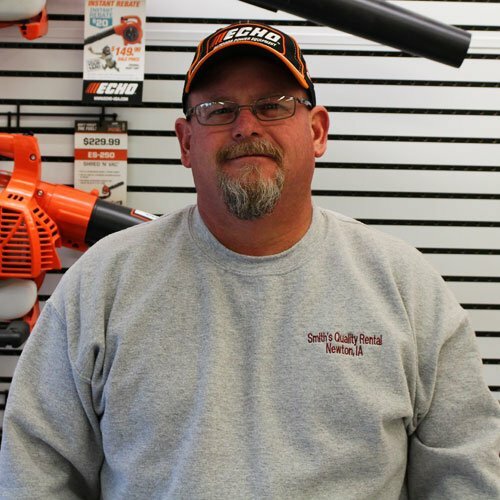 Starting with a very small inventory of lawn equipment, Gary grew his business. 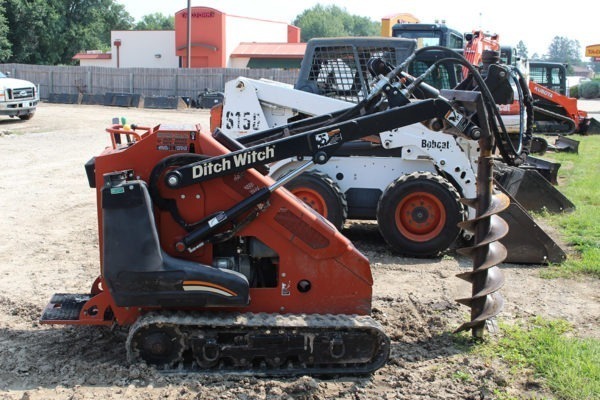 By 1981 Smith’s Quality Rental had grown into what it is today, featuring a huge inventory of Lifts and Earth Moving equipment along with those smaller hand held pieces that got him started. 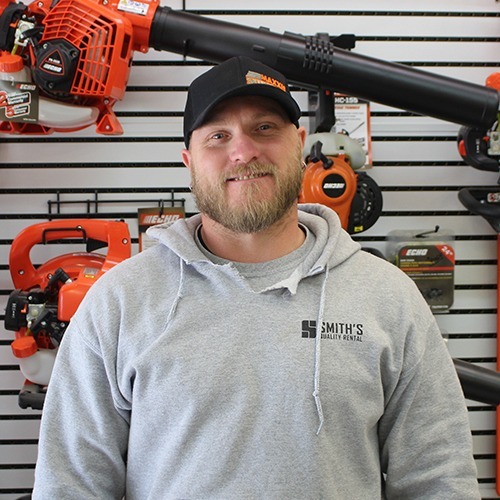 Today Smith’s Quality Rental has taken another step forward by starting a Small Engine Repair Center along with becoming an Echo hand held lawn equipment dealer. 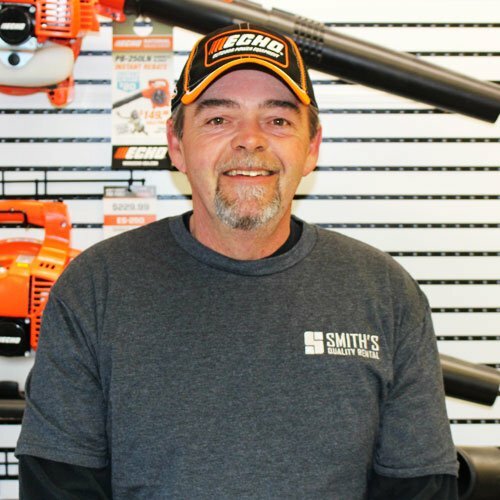 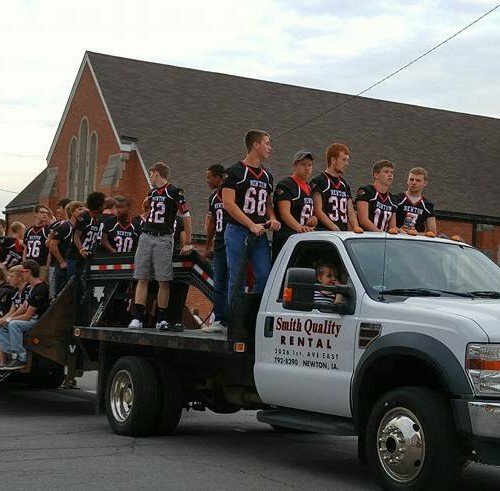 Smith’s Quality Rental has proven for over 50 years that the goal is to provide it’s customers with quality products and service for years to come. 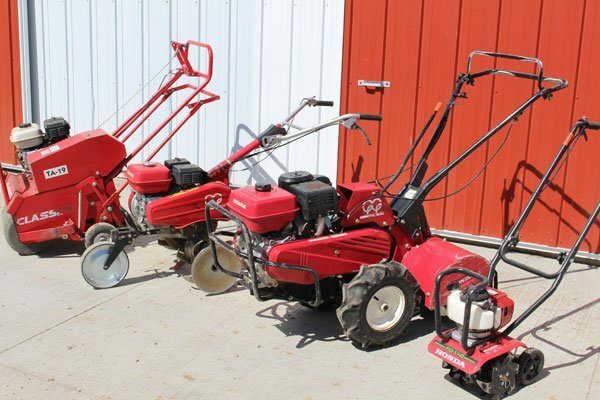 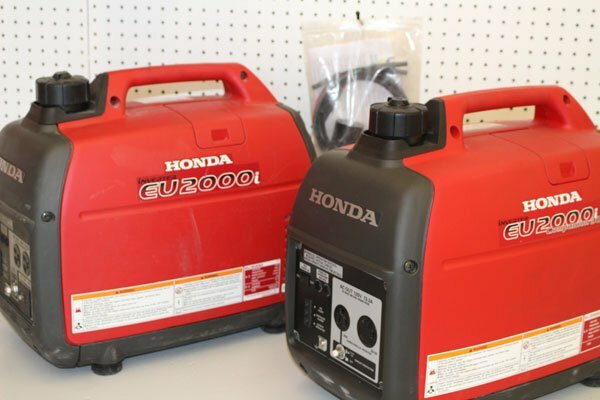 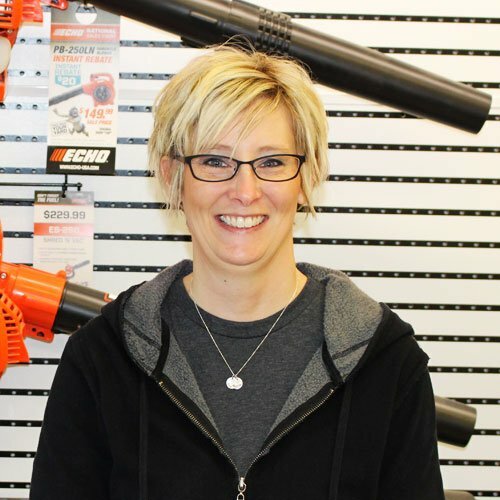 Stop in to see why our customers have considered us the best place to go for all their do-it-yourself equipment! 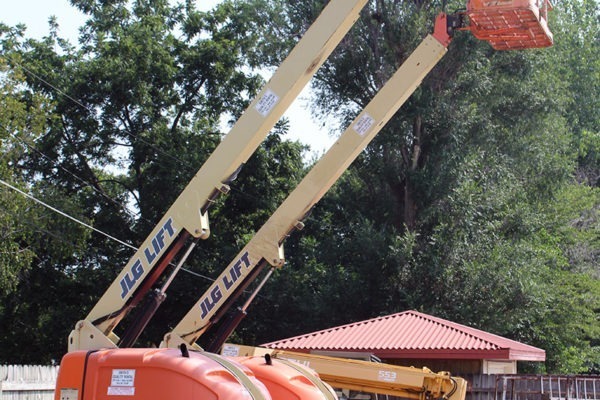 This is our dedicated team, who work to help everyday do-it-yourselfers complete their projects. 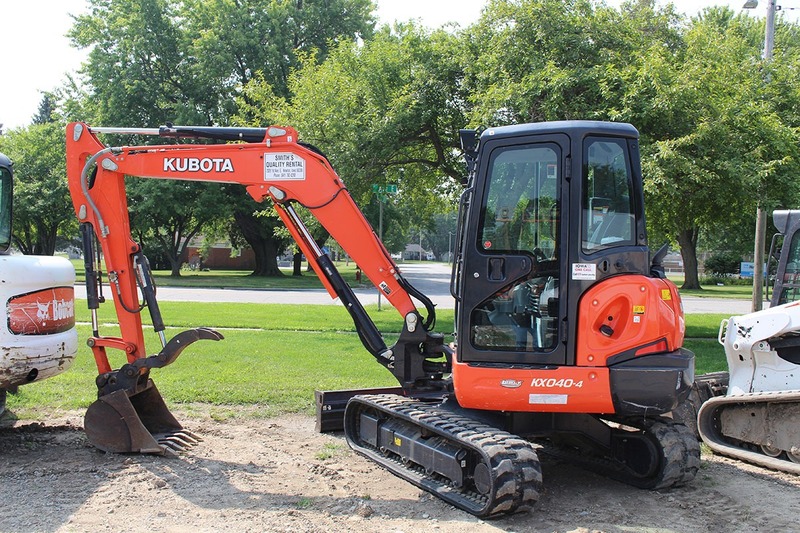 Large or small, we have the piece of equipment you’ll need to make your next project an easy one!